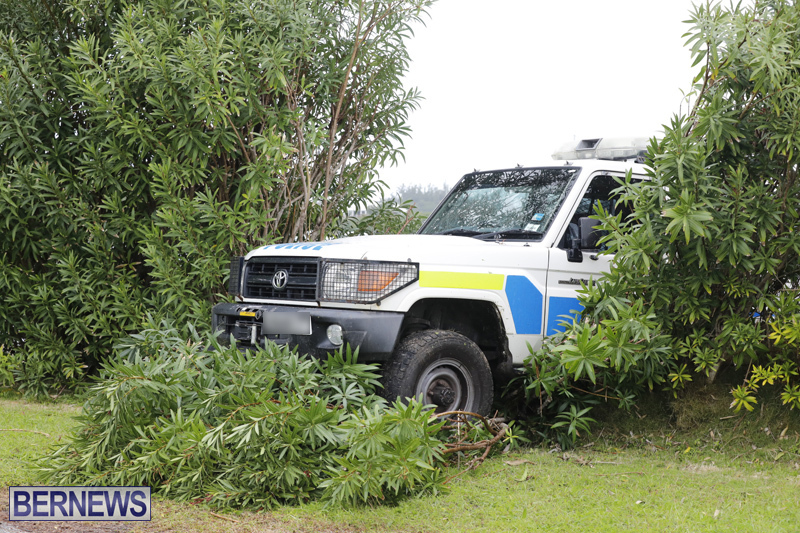 [Updated with video] The Bermuda Police Service attended a collision on St. David’s Road today [Feb 27] after another police vehicle was involved in a collision, resulting in the vehicle crashing into the hedges. 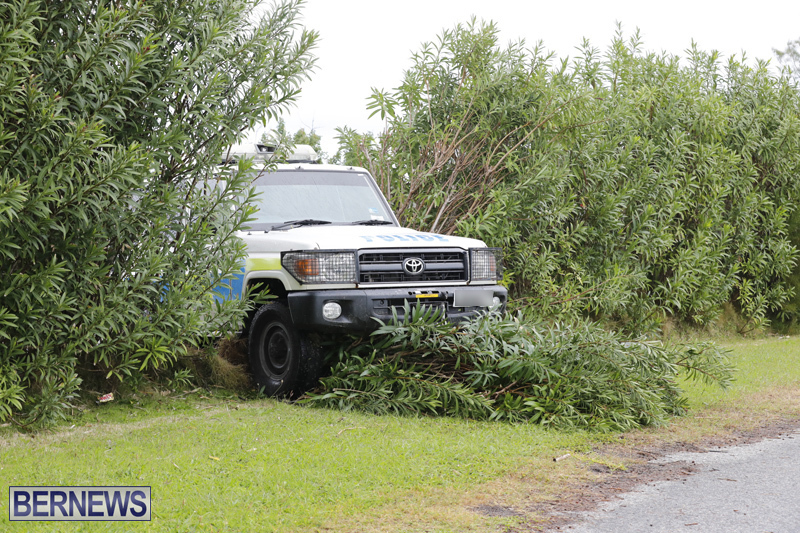 It does not appear that anyone was injured in the crash, and a tow truck removed the vehicle at approximately 2.00pm. 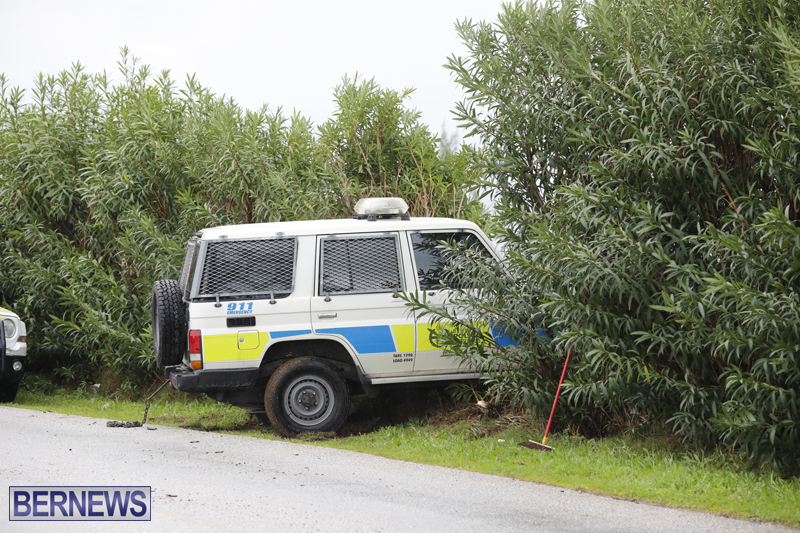 Update 4.10pm: A police spokesperson said, “Around 11:15am today [February 27th] a police vehicle crashed into a hedge along St. David’s Road in St. George’s. 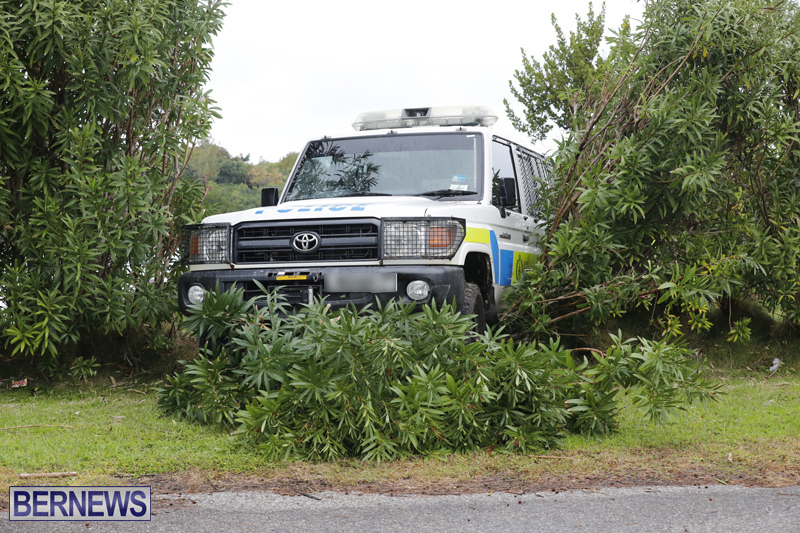 “No other vehicle was involved and a tow truck subsequently assisted in removing the police Land Cruiser from the hedge. 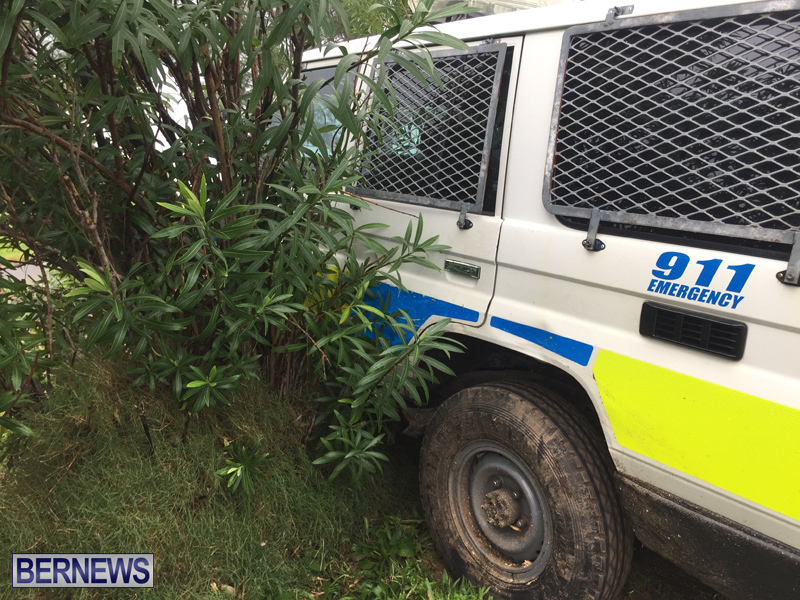 “There were no reported injuries, the scene was processed by the relevant police personnel and inquiries regarding the circumstances of the crash continue. Serious??? Perhaps a new Police person on the Route. de road is straight or was he/she thinking about making another route for Parade of Bands. It happened right on that bend heading east. Ya boy hit that big bloody stump first. Took half of it out. 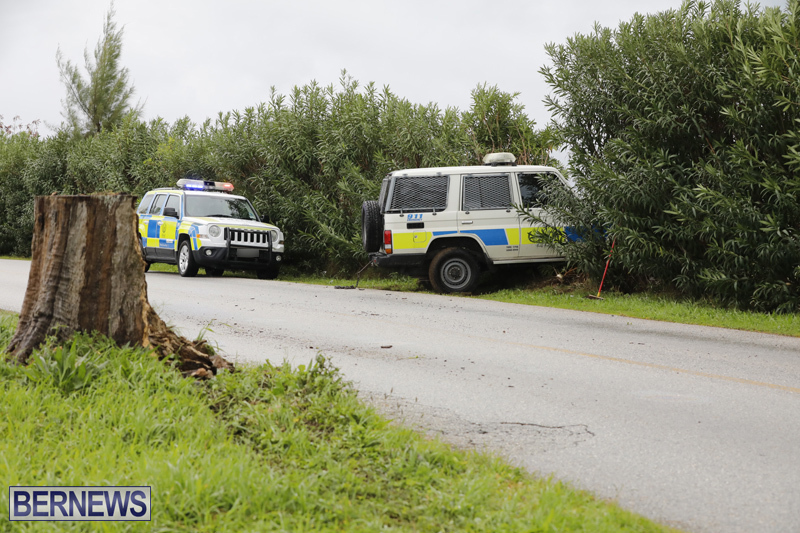 Two police officers crash their jeep into a tree.After a moment of silience one of them says,”wow that got to be the fastest we’ve gotton to an accident. You think they have those sarcastic remarks on their social media, like they did with the civilian accidents? What was the question they asked when a civillian did a similar thing? 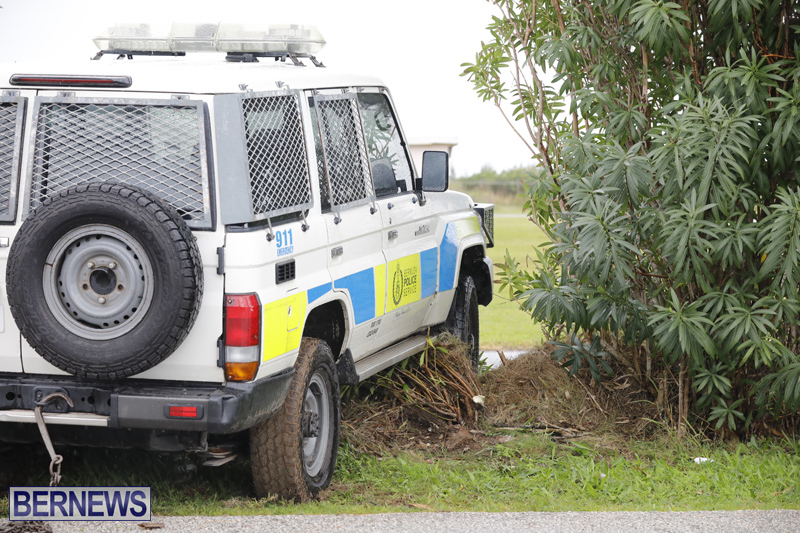 St Davids road and Kindley Field road are historically unkind to the BPS. Lucky all came away unscathed! Is it in the road? If you travel on the road and stay on the road it wouldn’t be an issue. Stop driving so defensive in 3rd gear giving to much power to the drive trane. They are teaching them to drive to cautious. SMH! 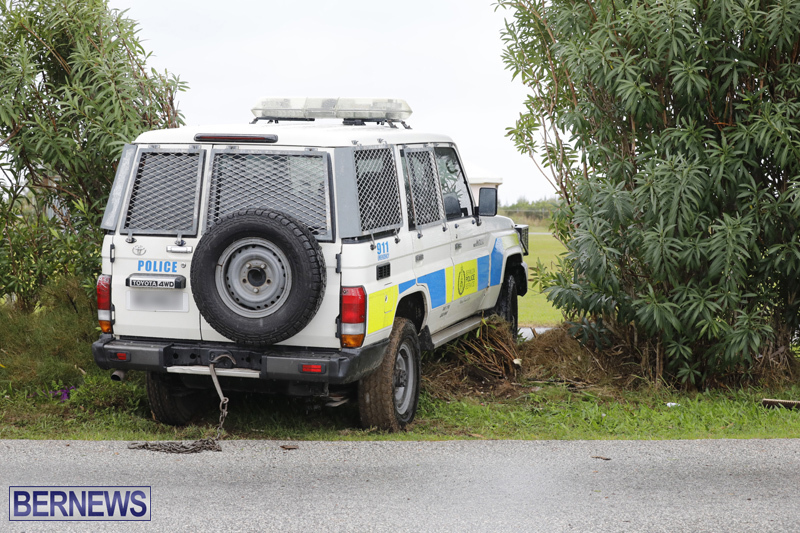 …POLICE CHASHING POLICE AND WHAT??? crash!!! Clearly this is the fault of the OBA. No it was the Russians fault. They hit a stump that has been there for years and then ended up in the bushes.